The volcano at Mount Sinabung at Jakarta, Indonesia, erupted six times early Monday, shooting volcanic ash 2,000 meters into the sky. Thousands have been evacuated from the region since the Sinabung volcano began erupting sporadically in September. 5,000 people were evacuated from the area the day before the eruption on Monday, bringing the total number of evacuees to 11,000. There have been no casualties so far. The Sinabung is just one of 35 active, erupting volcanoes in the world, according to a categorized list on Volcano Discovery. Of the 35 currently erupting volcanoes in the world, seven are in Indonesia. 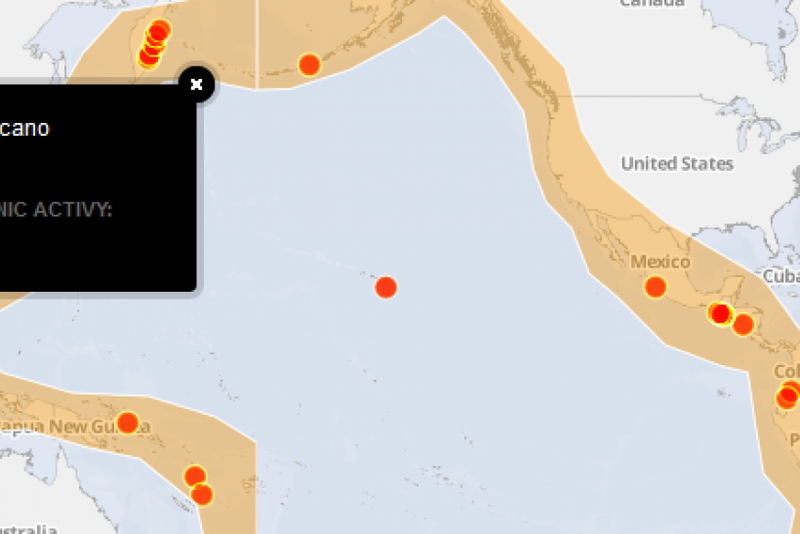 Most of Indonesia is situated along the “Ring of Fire” -- a horseshoe shaped ring around the Pacific where most earthquakes and volcanic eruptions take place. Will An Underground Volcano Hasten Antarctic Ice Melt?